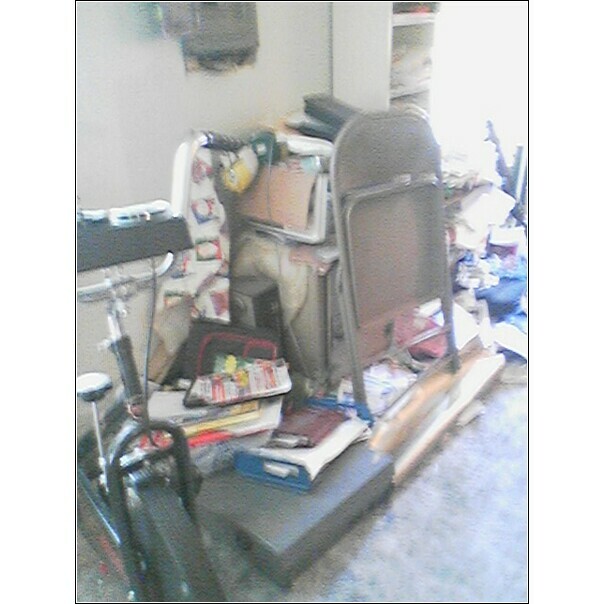 My Master/Partner/Boyfriend/Significant Other is a hoarder. The man hates to throw anything away. 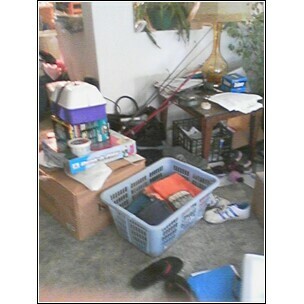 Below are a few pictures of what his home looked like when I moved in. He had stuff stacked everywhere with a path running through it all. This was just the upstairs apartment. I have since managed to get it somewhat cleaned up and organized and now at least there is a bit of space to breathe in. It wasn’t easy though. Every bag or box of junk or trash was argued over. Every tote of clothing had to be gone through before being tucked away for now. 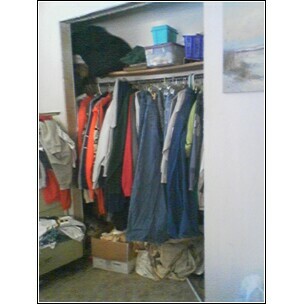 It’s been a year since I went through his closet and stashed 3 totes of unused clothing items. Next month I’m donating everything in them to Goodwill and purging his closet yet again. A lot of things got moved to the unused apartment below us and that will have to be gone through as well but happily the upstairs where we live is looking less lke a garbage heap and more like an apartment. I have a honey do list for him that includes things like putting up towel bars and installing trim around the doors and windows. I understand his reasoning behind holding onto things like he does but at this point in life I think we both need a clean slate. I would like to find us a decent house to move into but I know if I do that before I get some of his hoarder habits dealt with then BOTH apartments will simply become storage and never get rented out.